Pancakes are great dishes for tiny hands. 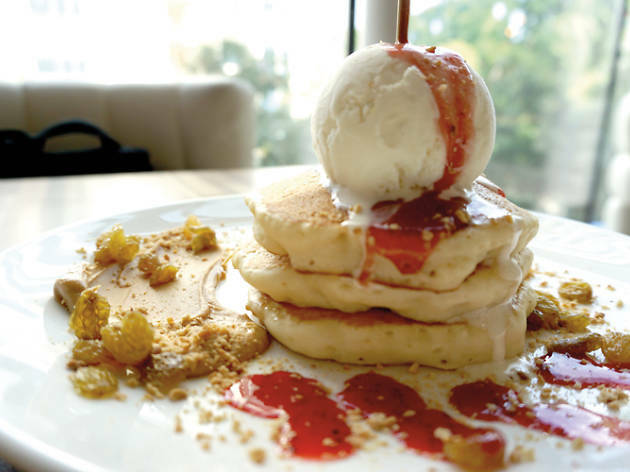 Here, you can stick to the safe choice and pick the classic fluffy American pancakes (from $13), or be more adventurous and try the thin French crêpes (from $16) or the spongy Holland poffertjes (from $16). 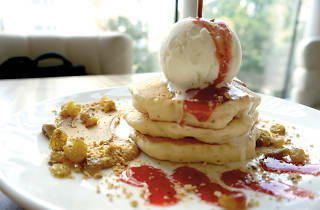 Either way, you’ll get your pancakes piping hot straight from the griddle, with a golden crunchy ring around the edge.